Looking for a quality landscaper in the Honiton region? If so, you’ve come to the right place. Our skilled service will enable you to maximise the potential of your garden, whatever its size or layout. 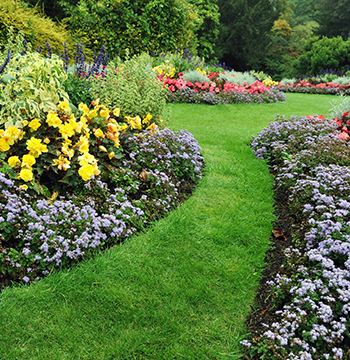 Contact us today to discuss your landscaping needs. We can provide for any and all of your landscaping requirements, from timber buildings and fencing to lawn installation and maintenance. All our working materials are of the highest calibre and our working methods are top class, meaning we can guarantee you the stunning results you desire. The addition of a superb timber building from Robin Francis & Sons will add an extra dimension to your garden and allow you to make more of your home or commercial property. We specialise in the installation of bespoke garden sheds, summer houses, garden offices, stables, arbours, gazebos, pergolas, garages, play houses, corner houses and more. Quality fencing will bring security, privacy, and aesthetic excellence to your garden or grounds, and quality fencing is precisely what you’ll get with us. We can supply you with fencing in a variety of styles, including feather-edge fencing, panel fencing (decorative or not), post, rail and stock fencing. If you’re looking for some superb bespoke decking, we can also help. Contact us today to discuss your requirements. Superb for keeping children or animals in and intruders out, a quality gate from Robin Francis & Sons will also bring the option of privacy to your home or commercial property. With a wealth of experience installing gates in a variety of styles and sizes, you can be sure we’ve got the skills to supply you with the quality gate you require. Whether you’re after driveway entrance gates, field gates, stable gates, garden gates, treated softwood gates or hardwood gates, we’re you’re the people you should get in contact with. You’ll also be pleasantly surprised by our superb low prices – call us on 01404 47823 to obtain a fantastic free quote. Based in Honiton, we serve within a 10 mile radius.